The Tiger Town Kroger will host the Johnsonville Big Taste Grill April 16 from 11 a.m. to 3 p.m. to benefit the store’s “Feeding the Gap” campaign and help the Food Bank of East Alabama replenish its shelves after the devastating March 3 tornadoes. “Kroger’s Feeding the Gap campaign directly supports our Zero Hunger | Zero Waste initiative, which has a goal of ending hunger in the places we call home by 2025,” said Kroger’s Atlanta Division Manager of Corporate Affairs Felix Turner. “Feeding the Gap addresses food insecurity of school-aged children in elementary, middle, and high school over weekends, during school breaks, and over the summer months,” Turner said. 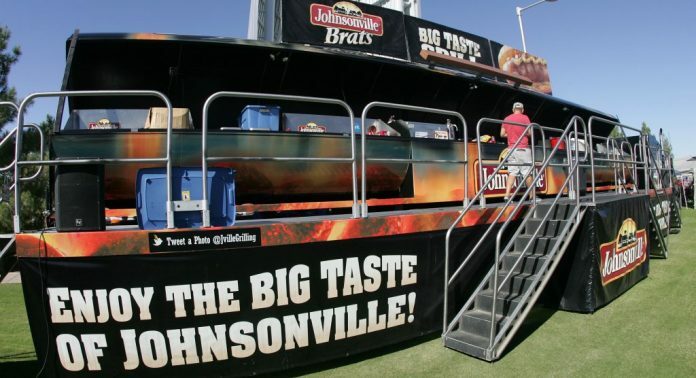 The Johnsonville Big Taste Grill, which measures 65 feet long, keeps 12 grillmasters busy with the ability to cook more than 750 brats at a time. 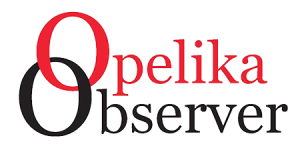 For more information, call 334-737-2643. The store is located at 2460 Enterprise Drive. At The Kroger Co., they are dedicated to a common purpose: to Feed the Human SpiritTM. The company focuses its charitable efforts on hunger relief, K-12 education, women’s health initiatives and local organizations in the communities it serves. Kroger’s Atlanta Division is headquartered in Atlanta and is one of the Southeast’s largest retail grocery chains with more than 183 stores, covering Georgia, Eastern Alabama and South Carolina.